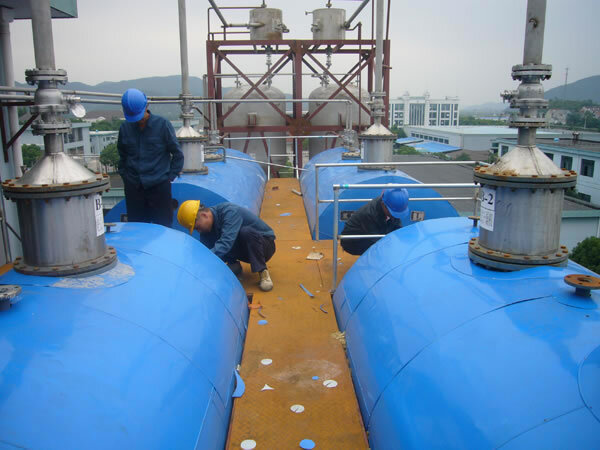 With a large heating area, heat is quickly conducted and efficiency is increased. 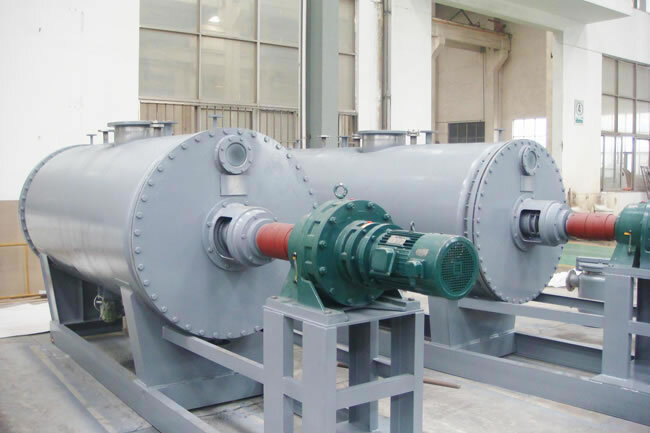 The stirrer in the vacuum harrow drying machine moves raw materials inside the cylinder continuously to achieve uniform and rapid heating and drying. 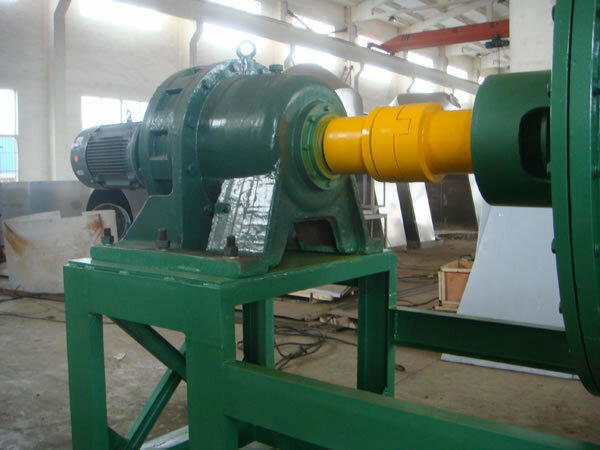 This also makes it possible to dry pulpy, paste or powdered raw materials easily. The vacuum harrow drying machine uses the newest two-stage type reducer to lower power consumption while increasing the torque. 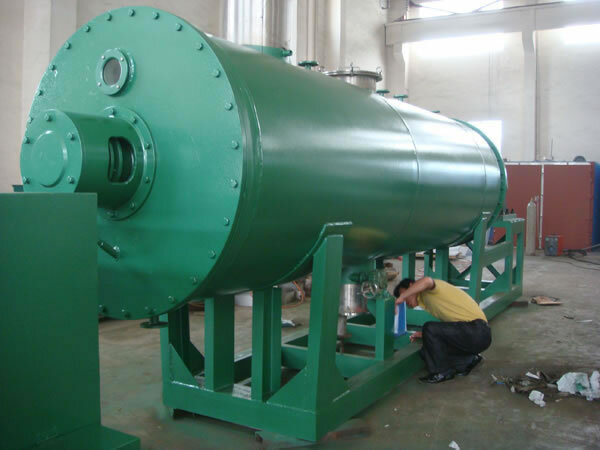 This is a horizontal, batch-type vacuum harrow drying machine. The moisture of wet material is evaporated by heat transmission. A stirrer with a squeegee removes any raw material from the hot surface and circulates it in the container. The evaporated moisture is pumped out by vacuum pump. The following raw materials from pharmaceutical industry, foodstuff industry, chemical industry, and so on can be dried in the vacuum harrow drying machine. 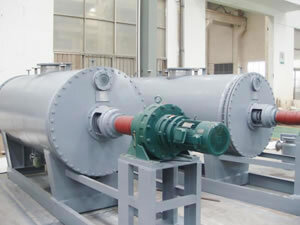 It is suitable for: pulpy, paste-like mixtures or powdered raw materials; heat-sensitive raw materials having a need to dry at a lower temperature; raw materials that are easily oxidized, explode, have strong irritants or are toxic; raw materials with solvents that must be recovered. 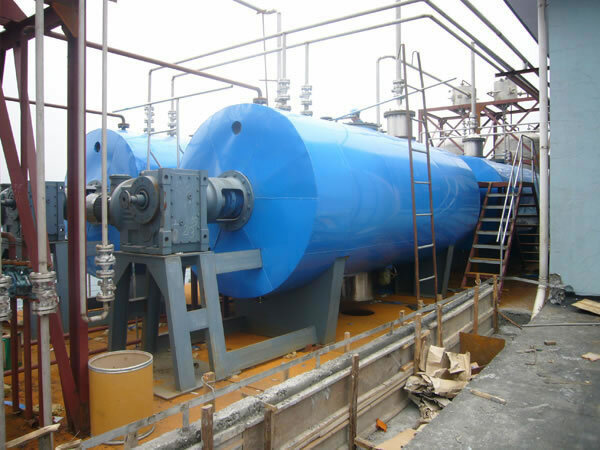 Note: The evaporated amount of water is related to the characteristics of the raw materials and the drying temperature. Parameters vary based on various factors, such as materials used, temperature, and volume being dried. Please contact us for assistance. As a specialized vacuum harrow drying machine manufacturer in China, our company also provides centrifugal atomizing drying equipment, a flash evaporation drying machine, chicken seasoning granulating drying machine, and more.